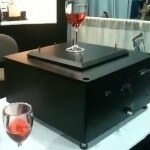 This video shows most compact voice coil positioning stage from H2W Technologies to date. 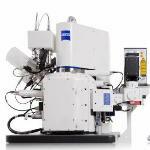 Due to space restrictions in their auto-focus mechanism this application requires an ultra-compact stage. The nanotechnology episode helps to define a technology that uses knowledge of atoms and molecules to enhance modern life through product development and medical research. The 30-minute presentation explores the technology and the related career opportunities with experts in the field. Some of the best scientific discoveries happen accidentally, and that's exactly what happened at Ohio's College of Wooster, where a project devoted to using nano-engineered glass powder to detect explosives instead led to the realization that the material could absorb pollutants from water. Watch this videocast to find out more about Obsorb, which swells up to many times its volume as it absorbs contaminants. 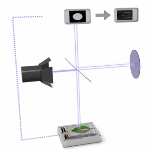 This video shows the workings of optical coherence tomography (OCT). OCT makes it possible to inspect layers under the skin surface in a non-invasive manner and helps develop three-dimensional (3D) images of the skin structure. At an event marking the five-year anniversary of the Wake Forest University Center for Nanotechnology and Molecular Materials, Wake Forest Professor David Carroll discusses the future of nanotechnology research at the University and around the world. 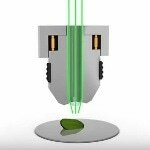 This video shows a webinar on FluidFM technology, a unique tool that integrates Cytosurge nanofluidics with the force sensitivity and positional precision of the Nanosurf FlexAFM atomic force microscope. The London Centre for Nanotechnology is at the forefront of research for the benefit of every one. It is also heavily envolved in biology including healthcare and cosmetology. This film is a teaser made for the In-cosmetics tradeshow showing how research at the London Centre for Nanotechnology (LCN) could benefit public health and wellfare. 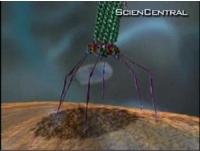 In this video, the working principle of pipette is shown through animation. Very small but fast drives are needed to pipette smaller and smaller devices and sample separations. At the same time, they must also generate adequate force to move the pipettes in the vertical direction and to dose the media. This video shows the Micromeritics Pharmaceutical Services (MPS), which is used for characterizing the physical properties of pharmaceutical materials, medical devices, nutraceuticals, and other FDA-regulated products. This video shows the acoustic enclosures such as AEK-2002 and NanoVault are provided with automatic doors. 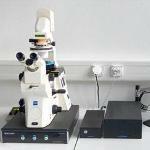 This video shows the operation of confocal microscopy. Confocal microscopy is used in diagnostics in dermatology and ophthalmology, for instance, to create virtual sections via the tissue structure, or to detect the structure of the sample surface via the shift of the focal plane. 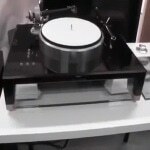 This video shows the advanced SpaceFAB SF-3000 from PI. 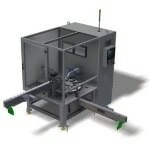 The SpaceFAB SF-3000 is a compact, low profile system. It has a parallel-kinematic design for six degrees of freedom, making it considerably more compact and stiffer than serial-kinematic systems. 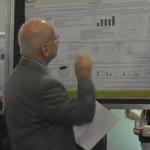 This video footage from Elsevier shows the 2nd international colloids conference “Colloids & Nanomedicine 2012” held at Amsterdam. 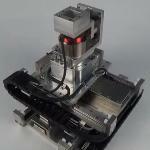 In this video H2W introduces a fully vacuum compatible four axis positioning gantry. 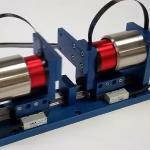 The brushless linear motor is used to drive XY axes of DR positioning stages. Think thousands of times smaller than the width of a hair or a piece of paper and now you're at the nano scale of science. 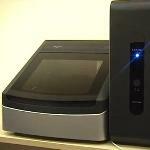 A Rushford company is using new nanotechnology to manufacture reinforced tools. 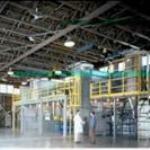 Rushford Hypersonic is Minnesota's first rural nanotechnology company. 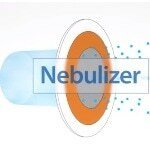 It uses a process that was created and patented by scientists at the University of Minnesota. In this webinar Dr. Juergen Stein, R & D Manager from Hosokawa discusses wet and dry media milling techniques for size reduction of powders to submicron level. 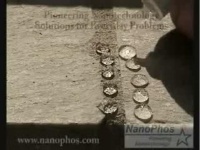 This video looks at the effectiveness of NanoBionic's nanotechnology enhanced surface treatment. 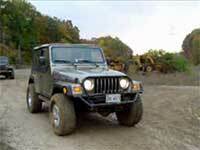 The video shows a head to head challenge in the mud between two Jeeps - one treated, the other untreated. 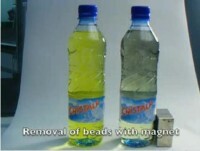 Watch how ordinary tap water beads on cement and stone after being treated with SurfaPore C, a nanotechnology material that does not alter the physical appearance of the surface. Simply place with a brush. Stanford researchers have reclaimed bragging rights for creating the world's smallest writing, a distinction the university first gained in 1985 and lost in 1990. 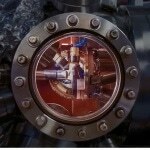 The researchers encoded the letters "S" and "U" (as in Stanford University) within the interference patterns formed by quantum electron waves on the surface of a sliver of copper. 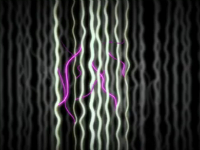 The wave patterns even project a tiny hologram of the data, which can be viewed with a powerful microscope. Morph is a concept demonstrating some of the possibilities nanotechnologies might enable in future communication devices. Morph shows how future mobile devices might be stretchable and flexible, allowing the user to transform their mobile device into radically different shapes. It demonstrates the ultimate functionality that nanotechnology might be capable of delivering: flexible materials, transparent electronics and self-cleaning surfaces. Released this spring, the Nanoscepter is a machine which places a coating on materials which repels water, oil, and other adhesive materials. 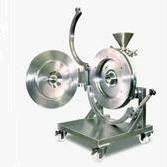 For example, A regular teflon coated frypan undergoes a teflon coating process. In this process they glue grains of teflon together to make the coating, but the coating becomese quite thick, normally around tens of microns thick. 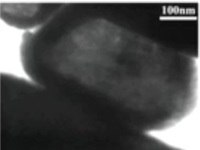 But the Nanoscepter creates a coating which is only several nanometers thick. The coating is made up of two structures, one which repels water and the other which repels adhesive materials. This webinar from Hosokawa Micron shows the classification of dry powder and appropriate fabrication techniques for manufacturing them . 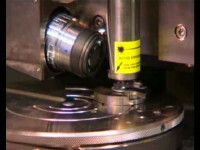 The following movie demonstrates the capabilities and applications of nanotechnology coatings. Take a look inside CNSE's Albany NanoTech Complex, the most advanced research facility of its kind at any university in the world: a $5 billion, 800,000-square-foot complex that attracts corporate partners from around the world, and offers students a one-of-a-kind academic experience. 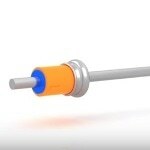 This video shows an animation of Direct Position Measurement from Physik Instrumente (PI), demonstrating how maximum accuracy can be achieved through direct metrology. When directly measuring positions using non-contact sensors, each change in position of the moving platform is directly captured by the controller relatively to the base body. In this video, Physik Instrumente (PI) welcomes customers to visit its display at Drives & Controls 2018 – the Automation, Power Transmission, and Motion Engineering Event which will be held between April 10 and 12, 2018 at NEC Birmingham. 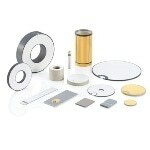 The display will be at PI stand D-744. 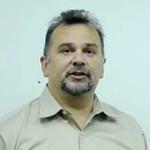 In this video Jeff Kenvin, Group Leader of Micromeritics Scientific Services Staff, explains two different free space methods in adsorption process. This video demonstrates the working of UNECS-3000A is high-speed spectroscopic ellipsometer from ULVAC. This video shows how to calculate isotherm calculation using Micromeritics’ MicroActive reporting software. Rheologists have created a new way of bullet-proofing clothes using shear-thickening fluids. This shear-thickening liquid is actually a mixture of hard nanoparticles and nonevaporating liquid. This video shows the working principle of the parallel-kinematic nanopositioning system from Physik Instrumente (PI). 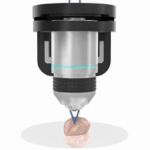 The nanopositioning system comes with capacitive sensors, reduced inertia, and parallel-metrology arrangement. This video shows the DFT pore size calculation using Micromeritics’ MicroActive reporting software. 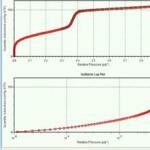 View the Lotus Effect on a 2002 Chevy Avalanche car windshield with our nanotechnology sealant. Mud, water, snow etc. quickly run off. 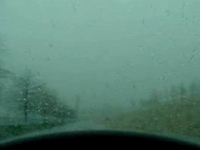 When having this sealant applied there is no need for windshield wipers. Water etc. just runs off. This video shows the interview with Jeremy Warren, CEO from NanoSight. 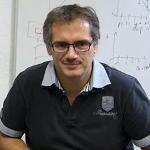 He describes about the EU definition of the nanomaterials, which is more than 50% of 100nm in number distribution. Creating nanofibers on laboratory electrospinning device 4SPIN - step by step. This video shows PI (Physik Instrumente) at the SPS IPC Drives 2017, which was held between 28 and 30 November at Nuremberg, Germany. 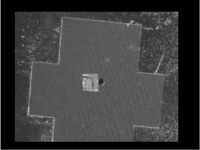 This video shows how one can load cantilever in Nanosurf FlexAFM. 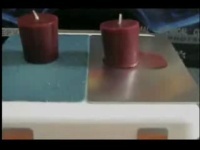 This video demonstrates the flame retardant properties of Nansulate EPX from Industrial Nanotech. The surface of lotus leaves has an uneven structure, which creates a layer of air that repels water. When Seimei Shiratori was a student, he thought this structure could be applied in daily life. So Shiratori started observing the nanoworld. 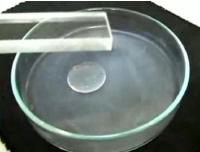 By making these thin films, we are trying to produce surfaces that are repellent or ultra-repellent to water and oil. The world's most powerful particle accelerator will be launched on Wednesday (September 10) at the European Organisation for Nuclear Research (CERN), based in Geneva. The Large Hadron Collider (LHC) is in an underground ring tunnel of 27 kilometres (17 miles) beneath the French-Swiss border. Scientists will recreate conditions just after what was known as "The Big Bang" by colliding two beams of particles at close to the speed of light in a bid to understand the origins of the universe. 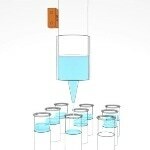 This video shows the BET transformation using Micromeritics’ MicroActive reporting software. A Russian scientist says he has developed a cure for smelly feet, which involves weaving nanofibres of silver into socks. His small business is one success story of Russia's developing nanotechnology industry, and attempts to promote enterprise using the technology. 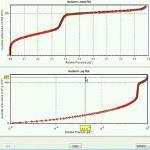 This video shows the BET calculation using Micromeritics’ MicroActive reporting software. This video shows the operation of the advanced PIMag® Magnetic Direct Drives. 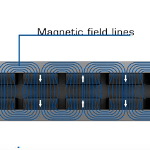 With regards to wear and dynamics, magnetic direct drives, In particular, offer benefits compared to common spindle-based technologies. As these drives use as few mechanical components as possible, there is less friction and backlash, and hence more precision. Dr. Sawamura of the National Institute for Materials Science (NIMS) presented a bio-sensor that uses a semiconductor diode structure at the nano tech 2009 show. This bio-sensor uses a metal-insulator-semiconductor diode formed on a silicon substrate, and NIMS is targeting applications of the bio-sensor for research and detection of infectious diseases and such. NIMS is already advancing with the development of technology to mass produce the bio-sensor and is targeting practical applications within two and a half to three years. 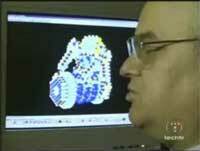 A video by Industrial Research Limited regarding the use of mathematical modelling for nanotechnology. Nanotechnology is a new technology based on the manipulation of individual atoms to form structures and devices that have new and unusual different properties. 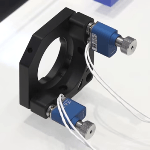 This video shows Q-Motion® high-resolution positioning systems that are very small and versatile. The functional principle of the piezoelectric inertia drive enables easy configuration of the control and the actuators. This video is the second part of an in depth series of video looking at nanotechnology and the consumer. Wilson Center Project on Emerging Nanotechnologies director David Rejeski reviews nano consumer products, health and safety oversight mechanisms, and public opinion research. Dr. Maria DeRosa discusses how "intelligent" fertilizers can play an important role in meeting increased global food demand. 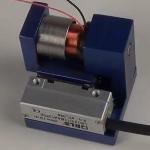 This video shows the voice coil linear positioning stage from H2W. 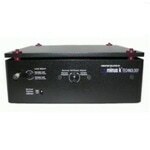 It has dual mounting options and optional air cooling that allows the stage to achieve higher continuous forces. 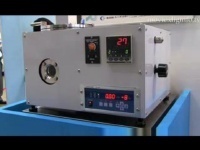 This video shows the operation and features of PI’s Piezo Inertia Drives. PIShift drives in particular are ideal for drift-free long-term positioning. This video is the third part of an in depth series of video looking at nanotechnology and the consumer. Wilson Center Project on Emerging Nanotechnologies director David Rejeski reviews nano consumer products, health and safety oversight mechanisms, and public opinion research. This webinar from Hosokawa Micron Powder Systems discusses the benefits and limitations of paddle mixing, ribbon blenders, tumble blenders, high versus low shear applications, screw mixers and other devices used for mixing applications. In this video Dr. Tomaso Zambelli and Prof. Janos Voros ETH Zurich (Switzerland) talk about the Nanosurf FluidFM technology and its applications. The Sykes Group at Tufts University uses scanning tunneling microscopy to study molecular rotation to determine if individual molecules can be used as nanomachines. 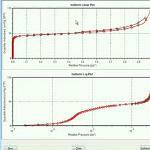 This video shows the t-plot calculation by Micromeritics’ MicroActive reporting software. This video provides viewers a live experience of the positioning solutions available from PI (Physik Instrumente). 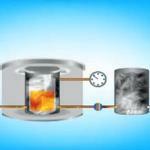 Nansulate is a patented nanotechnology coating which blocks heat transfer and reduced energy use. 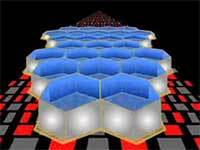 The Gracias Lab at The Johns Hopkins University has developed a relatively easy, precise, and cost-effective process by which the 2D templates of semi-tethered "faces" can self-assemble into controlled 3D structures by utilizing the natural phenomena of surface tension as well as thin-film stress. NBC's new technology features a super hydrophilic property so that all it takes is water to remove dirt and other impurities from surfaces. 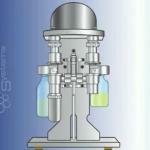 With previous processing technologies nanoparticles were covered with polymers. 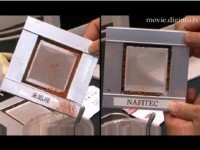 However, NBC's Nafitec technology optimizes the function of the nanoparticles compared to previous technologies by chemically immobilizing the nanoparticles on the polymer base surface. This video is the first part of an in depth series of video looking at nanotechnology and the consumer. Wilson Center Project on Emerging Nanotechnologies director David Rejeski reviews nano consumer products, health and safety oversight mechanisms, and public opinion research. 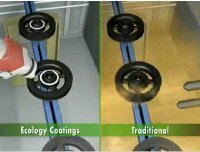 Ecology coatings is the world leader in discovering, development and manufacturing of nanotechnology-enabled ultraviolet (UV) curable advanced coatings that drive efficiencies and clean processes in manufacturing. 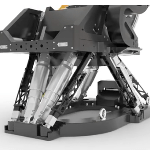 This video shows the operation of PI’s Hexapod systems. 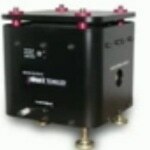 These systems are designed around six high-resolution actuators, which act on a common platform. Their parallel kinematics design means they work with higher dynamics and precision than independent axes built in series. A group of UNR mechanical engineering students apply nanotechnology concepts to experimental ski prototypes. Nanosciences and nanotechnologies represent a formidable challenge for the research community and industry. World-class infrastructure, new fundamental knowledge, novel equipment for characterisation and manufacturing, multi-disciplinary education and training for innovative and creative engineering, and a responsible attitude to societal demands are required. This documentary film provides a glimpse of some of the many activities that are being carried out in Europe in these fast-grozing fields of research and technological development. For hundreds of years, scientists have been poaching design ideas from structures in nature. Now, biologists and engineers at UC Berkeley are working together to design a broad range of new products, such as life-saving milli-robots modeled on the way cockroaches run and adhesives based on the amazing design of a geckos foot. QUEST visits their labs to find out what's so special about these crawling and scaling animals. This video highlights the development, manufacturing process, and proposed functions (cell encapsulation devices and controlled drug delivery carriers) of our self-assembling nanoliter containers. University of Oregon physicist Hailin Wang talks about his lab's success using a laser to help virtually freeze vibrations in an experimental oscillator. 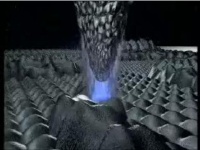 Claytronics is a project at Carnegie Mellon University that combines modular robotics, systems nanotechnology and computer science to create the dynamic, 3-Dimensional display of electronic information. IBM researchers are using light in computer chips instead of electricity and wires to send information between the chip cores. The result are computer chips as much as 100 times faster, using 10 times less power than wires, potentially allowing hundreds of cores to be connected together on a single chip, transforming today's large supercomputers into tomorrow's tiny chips while consuming significantly less power. 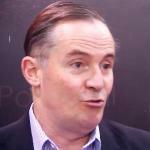 The London Centre of Nanotechnology's Professor Steve Bramwell explains the discovery of 'magnetricity' - magnetic charges that behave and interact just like electric charges in some materials. The groundbreaking research could lead to a reassessment of current theories of magnetism as well as significant technological advances. 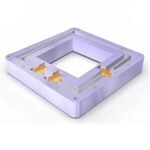 This video shows the new, advanced P-616 NanoCube® from Physik Instrumente (PI). It is a highly compact piezo system that offers identical dynamics, velocity, and precision on all three motion axes with loads of up to 50 g.
Berkeley Lab scientists have developed a powerful new kind of sputter process for the electronics industry-and other, more exotic applications, including outer space-which deposits high-quality metal films in complex, three-dimensional nanoscale patterns at a rate that by one important measure is orders of magnitude greater than most existing systems. 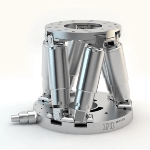 This video shows the advanced PILine Rotary Drive Principle. 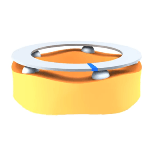 The PILine Rotary Drive Principle is applied in PILine® Ultrasonic Piezomotors, which are known for their compact drives and fast, self-locking features. 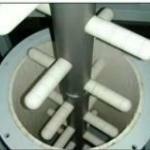 This video from Nanosurf shows how one can store a used FluidFM cantilever for later re-use. 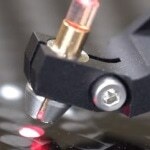 The World's Smallest Ultrasonic Transducers. 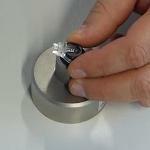 Electrical engineers at The University of Nottingham have built the world's smallest ultrasonic transducers. This revolutionary technology - many thousand times tinier than current systems - will among other things, allow us to see inside individual cells to help diagnose serious illness. 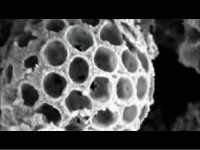 This video shows the growth front of a polyhydroxybutyrate-co-valerate (PHB/V) spherulite crystallization from JPK Instruments. On September 28, 1989, Don Eigler became the first person in history to move and control an individual atom. Shortly thereafter, with the help of a custom-built microscope, he and his team spelled out the letters I-B-M using individual atoms, signaling a quantum leap forward in the field of nanotechnology. 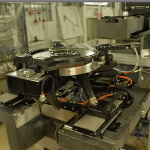 In this video, Physik Instrumente (PI) presents beamline instrumentation with a variety of animation. 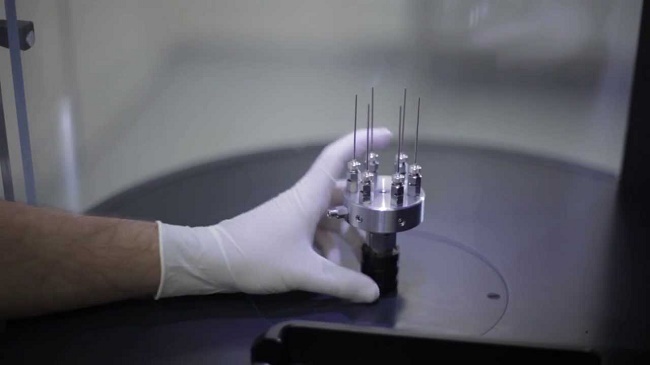 PI’s business development manager explains about the laminography instrumentation, which was delivered at the ID19 beamline of European Synchrotron Radiation Facility (ESRF) at Grenoble. The Stanford Nanoelectronics Group presents "Nanotechnology - Carbon Nanotube Electronics", a short educaitonal video on nanotechnology and carbon nanotubes (this video made possible by the National Science Foundation). 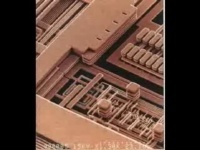 NSF funded movie about MEMS manufacturing. 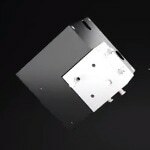 MEMS includes Texas Instruments' packaging of DLP technology; Hewlett Packard's fabrication of the thermal inkjet print heads; and Freescale's design of sensors. 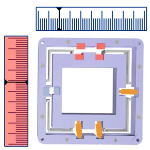 Silicon Run Productions worked with their advisory committee and MEMS Industry Group (MIG) to include a variety of MEMS devices and their applications. 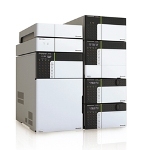 This video shows an ultra high performance liquid chromatograph Nexera X2 from Shimadzu. 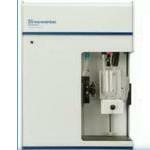 This video shows the Elzone II 5390 Particle Size Analyzer from Micromeritics. 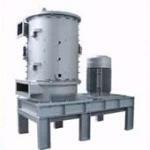 This video shows that the Hosokawa Micron Group is the pioneer of Active freeze drying (lyophilization). 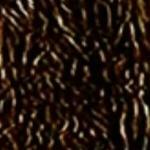 Are you looking for a way to effectively combine imaging and analytical methods of light and electron microscopy? Would you like to link functional and dynamic information about your specimens with ultra-structural details? With more than 60 years of innovation and leadership, FEI enables customers to find meaningful answers to questions that accelerate breakthrough discover­ies, increase productivity, and ultimately change the world. 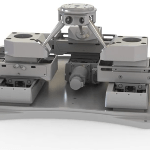 FEI designs, manu­factures, and supports the broadest range of high-performance microscopy workflows that provide images and answers in the micro-, nano-, and picometer scales. Combining hardware and software expertise in electron, ion, and light microscopy with deep application knowledge in the materials science, life sci­ences, electronics, and natural resources markets, the worldwide FEI team of 2,700+ employees is dedicated to customers' pursuit of discovery and resolution to global challenges. 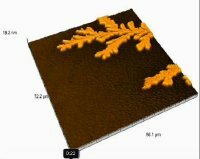 This extensive video presentation examines "Minimal Manufacturing" using inkjet technology and special materials like nano metal pastes to direct form three-dimensional structures anywhere on a substrate. 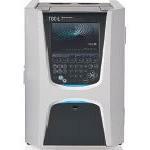 This video describes the working of TOC-L series of total organic carbon (TOC) analyzers from Shimadzu. UK businesses that are using nanotechnology to fight bird flu, diagnose asthma instantly and identify cancer cells have been recognized with Innovation Awards. Over 100 international delegates attended the third annual UK NanoForum in London on October 28. Hakuto exhibited the "SMI500 Microscope System for Nanofabrication", a new focused ion beam device from SII Nanotechnology, at the 2009 Micromachine/MEMS Exhibition. In this video, ACS Motion Control offers an inside view and shows how the increasing demand for precision and fast throughput can be met with the most sophisticated motion control solutions. This video is the forth part of an in depth series of video looking at nanotechnology and the consumer. Wilson Center Project on Emerging Nanotechnologies director David Rejeski reviews nano consumer products, health and safety oversight mechanisms, and public opinion research. Using a high-speed camera setup in the lab, GE scientists captured details of water droplets dancing on amazing superhydrophobic surfaces developed in GE Global Research's Nanotechnology lab. 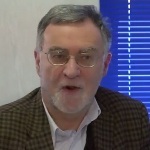 This video shows Professor Silvio Aime from the Molecular Imaging Center at the University of Torino, discussing the future of molecular imaging within the fields of MRI. Nanotechnology opens up a whole new world of research as it involves controlling the nanoscale sequence of atomic elements and molecules and has been put to practical use in many industrial fields and in recent years many beauty products which use nanotechnology have been released in Japan. This video looks into the world of Japan's high-tech cosmetics. A transparent coating that isn't just impermeable to water but actually makes it bounce off a surface has a number of potentially interesting applications. It could prevent corrosion, protect electronics and antiquities, or provide a new, more efficient surface to collect pure water. 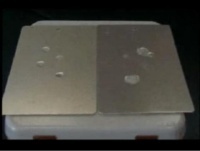 Modeled from Nature, the Brinker group used sol-gel chemistry to make a patent-applied-for, simple-to-prepare coating solution that, upon simple drying, develops a nanoscopically rough silicon dioxide surface decorated with hydrophobic (water-hating) ligands. 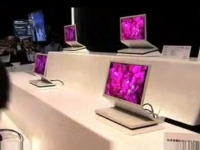 The video focuses on the burn rate of furniture with traditional fire retardant chemicals and the efforts at the National Institute of Standards and Technology (NIST) to develop nanomaterial-based fire retardants that are a safer and less toxic replacement. NIST's research has shown that nano-based flame retardants use 30% less chemicals by weight, while still being as effective as the traditional flame retardants. Poultry is a big business in South Carolina and favorite food for many Americans. 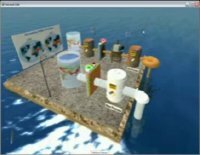 Dr. Jeremy Tzeng, a microbiologist at Clemson University, and his colleagues are using nanotechnology to keep chickens and consumers healthy. Chickens can get diseases and illnesses and a handful of chicken can spread throughout a facility housing thousands. Scientists at the University of Bristol are turning to nature in their attempts to further their research into Nano-science and at University of Bath they're applying Nano-science to investigate new lighting technology. 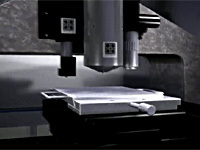 This video from Micromeritics shows the Dynamic Vapor Sorption technique which is based on the gravimetric determination of vapor interactions. This video shows a webinar presentation from Hosokawa, which discusses the different types of jet mills and the numerous industrial advantages and limitations for each technology. 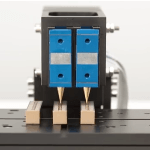 This short video shows the compact NEXACT® Piezo Stepping Drive from Physik Instrumente (PI). 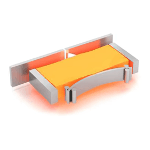 The NEXACT® Piezo Stepping Drive from PI performs the stepping motion with bending elements. 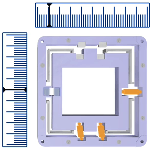 An ideal selection of the piezo elements enhances step size, velocity, clamping force, and stiffness for the respective requirements. President Barack Obama's image is shrunk to a size smaller than a grain of salt using nanotechnology. These 3D images of Obama measure less than half a millimeter across. They're only 1/50,000th the width of human hair. A simple, economical nanotechnology coating process that enables the development of nanoparticle thin films with architectures and properties unattainable by any other processing method. 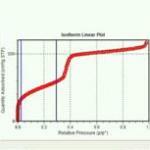 This webinar from Hosokawa Micron shows the Superior Grit Reduction of Carbon Black. 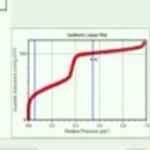 This video shows the BJH adsorption and desorption using MicroActive reporting software from Micromeritics. 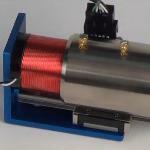 This video shows H2W’s dual headed voice coil positioning stage. 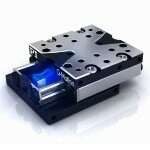 This high precision two axis positioning system is used for high end motion control applications. 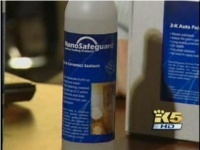 NanoSafeguard was recently highlighted on Seattle's King 5 (NBC) evening news as one of the first companies effectively harnessing the power of nanotechnology for consumer applications. See some of their products in action and learn from one of the foremost experts in the field about the industry's seemingly limitless opportunities. 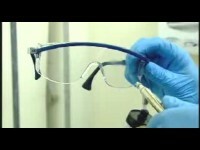 Video demonstration of thermal ability of EPX-4 by Industrial Nanotech. 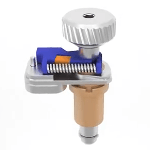 This video shows the operation of the PiezoMike Linear Actuators with PIShift Piezomotor. 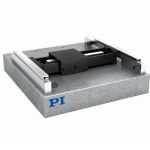 The linear screw-type actuator with PIShift piezo inertia drive is provided for high-resolution and stable positioning. 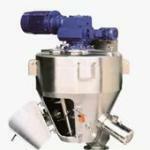 It offers open-loop operation, minimum dimensions, high forces, and stable positioning. 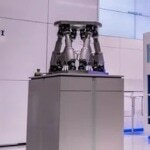 This video shows the ZEISS AURIGA Laser, which is used in large-scale material removal and far-reaching analysis from Carl Zeiss. 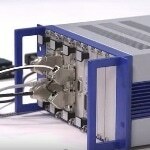 This video shows Fast Multi-Channel Photonics Alignment System from Physik Instrumente (PI). 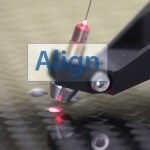 Alignment systems for high-throughput silicon photonics testing and packaging must be very fast, automated, and perform all tasks concurrently – hallmarks of PI’s fiber alignment systems. 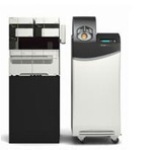 In this video three new spectrometers from Shimadzu are introduced. 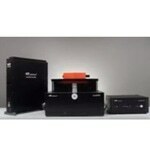 The three spectrometers are LCMS8080, LCMS 8040 and GCMS-TQ8030. 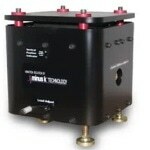 The GCMS-TQ8030 spectrometer is ultra fast triple quadrupole gas chromatograph mass spectrometer. 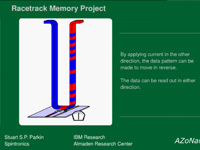 This video shows the animation of Physik Instrumente (PI)’s parallel kinematics. 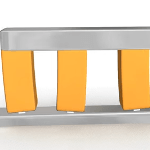 In a parallel-kinematic structure, all drives are designed to act on the same moving platform so that each axis has the same dynamic behavior. 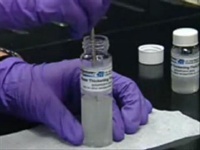 This video shows the Micromeritics Analytical Services - The Particle Testing Authority. 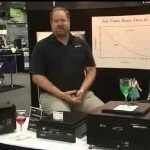 This video shows Erik Runge, Director of Engineering at Minus K Technology, describing Minus K’s advanced BM-4 Half Hz isolator. The isolator attenuates vibrations even at very low frequencies to provide high-quality performance. This video shows the workings of adaptive diaphragm positioning. 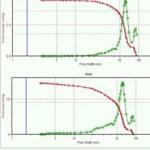 The so-called multi-leaf collimators are applied in radiotherapy to accomplish an optimal distribution of the dose. This involves arranging individual leaves so that the healthy tissue has the best possible protection from the radiation. 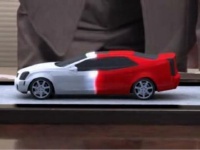 This video shows the utilization of the advanced PI VeriMove software. 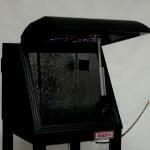 The PI VeriMove software is programmed to prevent collisions of moving and static parts. 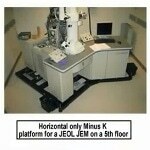 Limited space can cause difficulties for both positioning and motion systems. 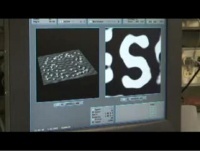 This video shows the t-plot in microporous form in Micromeritics’ MicroActive reporting software. NIST's conducts its nanosoccer competitions and demonstrations in conjunction with RoboCup, an international organization dedicated to using the game of soccer as a testing ground for the robotics technologies of the future. 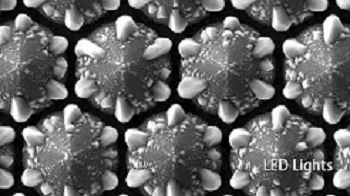 NIST's goal in coordinating competitions between the world's smallest robots-known as nanobots (nanoscale robots)-is to show the feasibility and accessibility of technologies for fabricating MicroElectroMechanical Systems (MEMS), tiny mechanical devices built onto semiconductor chips and measured in micrometers (millionth of a meter). 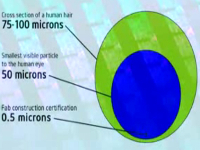 This video explains the basic understanding of nanotechnology and a sense of scale in the nanoworld. Discover real world applications in product development and medical technology. At 10,000 times smaller than the width of a human hair, you can't see nanoparticles, but you can find them in everyday products like sunscreen and clothing. But environmental and health concerns are mounting about exposure to nanomaterials, sparking a growing debate about their possible regulation. Nanotechnology and How Will it Affect Your Business? Governments and companies around the world are investing billions and billions of dollars into this new technology. What are the potential implications of nanotechnology for your business? 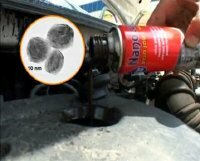 NanoLub is a new nanotechnology lubricant additive for improving your car's engine oil. Nanolub significantly reduces wear by the production of a thin lubricating film that withstands high pressures and is resilient within the operating conditions of an engine. 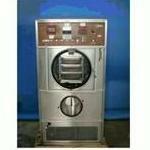 It reduces energy consumption and lowers harmful emissions. 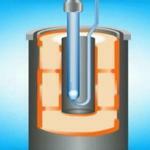 Nano-scale particles ensure reduced friction as well as efficient long-term engine protection. Excellent lubrication is achieved for cold-starts and high RPMs for added power. Find out about some assassins that can track down cancer cells in your blood and even blow up silicon chips. This is the amazing world of nanotechnology. In this video, Physik Instrumente (PI) showcases its complete solutions for electronics manufacturing. Nanotechnology - A Hi-Tech Future for Russia? Industry leaders, academic experts and government officials convened in Sacramento for the fifth nanotechnology symposium sponsored by the California Department of Toxic Substances Control (DTSC). 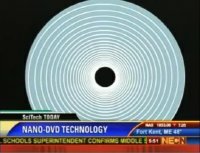 Nanotechnology affects every day products resulting in faster computers, light bulbs that use less energy, cosmetics, and even scratch-resistant automotive coatings. It is an exciting and emerging field that incorporates the design and application of structures, devices and systems by controlling the shape and size of materials at the nanometer scale. 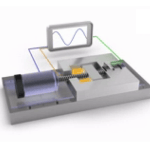 This video shows the working mechanism of Physik Instrumente (PI)’s Hybrid Stage. 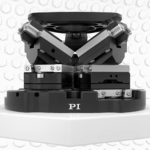 PI offers a unique hybrid concept with parent position measurement and closed-loop control. 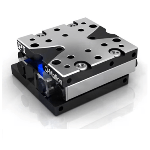 Some of the key features include simultaneous control of piezo flexure drives and DC-servo/ball screw drives, repeatability in the nanometer range, millisecond settling time to nanometer precision, high consistent velocity, and high drive and holding forces at minimum energy requirements/thermal dissipation.